TL;DR; install instructions for GProxy++. and wondered what is this all about? Or did you ever saw someone causing a time out/lag screen while asking to wait for him because GProxy++ is trying to reconnect? GProxy++ is an reconnection tool for WC3 and Ghost++ bot. It restores lost connection. A connection is dynamically established via multiple server/routers in between you client and your target server; the route might even change from time to time. Those connections are not necessarily stable and various reason might cause an connection loss. That’s not uncommon and mostly unnoticed since new connection are immediately established by most applications. Sadly, WC3 has no such a features and an connection loss causes a player drop. This is where Gproxy++ helps. 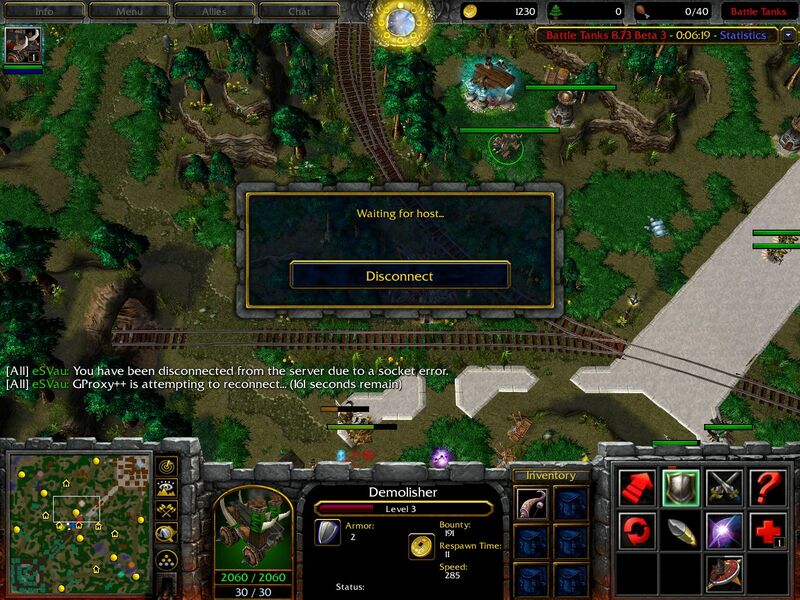 The original GProxy++ software rerouted Battle.Net connection the LAN interface of WC3, it is a little bit inconvenient to use but has some other features. A more convenient GUI version was created. It direclty injects itself into WC3 and provides the normal Battle.Net features. We fixed a small bug with this GUI so you won’t disconnect from Battle.Net by entering an invalid game name. In order to work the GProxy++ requires the Microsoft Visual C++ 2010 Redistributable Package (x86). Probably the x86 version satisfies the requirements. But just in case there is also Microsoft Visual C++ 2010 Redistributable Package (x64) for 64bit Windows. If you are unsure install them both (the 64bit version will fail to install if you do not have an 64bit Windows). 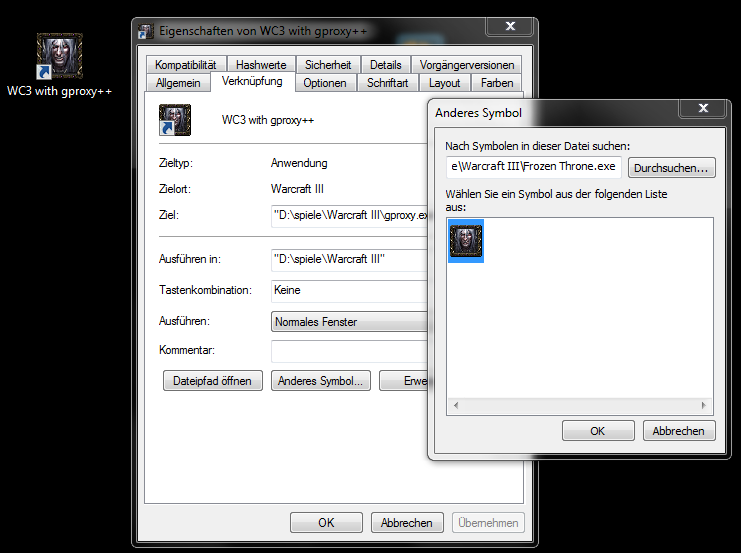 Simple extract those three file from the zip file to your WC3 installation (probably C:\Program Files\Warcraft III\). That’s it. Now you have to start the gproxy.exe which will start WC3 and should change your Battle.Net gateway (magnifying glass symbol, next to the Battle.Net button) to its own. Ensure no firewall will block GProxy++ and GProxy will relay every Battle.Net connection and restoring your connection to ghost bots (if possible).